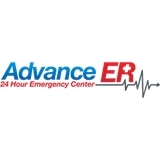 Advance ER-24 Hour Emergency Room (Dallas) - Book Appointment Online! Please note that Advance ER is a freestanding emergency center, open 24/7. Owned and managed by Board-certified physicians, our tastefully-appointed facilities feature onsite CT, X-ray, ultrasound, pharmacy and lab to care for every minor or major emergency. Please also note: The facility charges rates comparable to a hospital emergency room and may charge a facility fee. The facility or a physician providing medical care at the facility may not be a participating provider in the patient's health benefit provider network. The physician providing medical care at the facility may bill separately from the facility for the medical care provided to the patient.